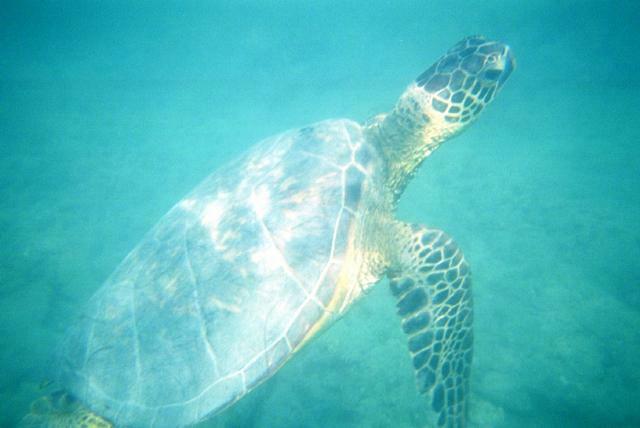 On our first day we went snorkeling with sea turtles. 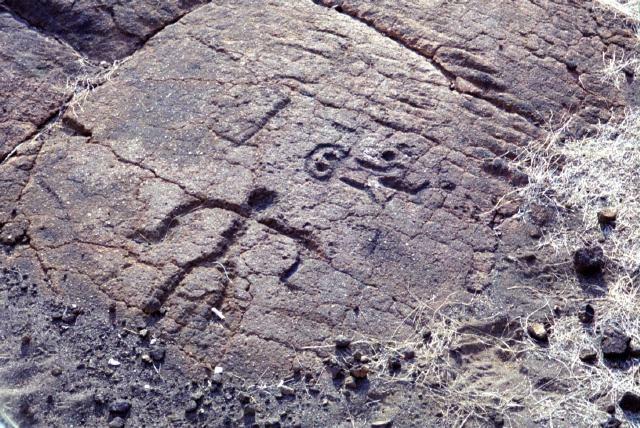 After snorkeling, we went to see some petroglyphs carved into some old lava flows. 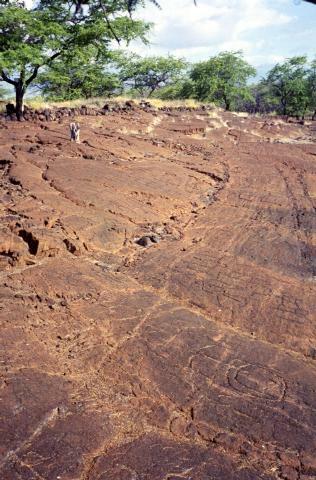 The petroglyphs are hard to see in this photo (look near the lower right). There are hundreds of them. 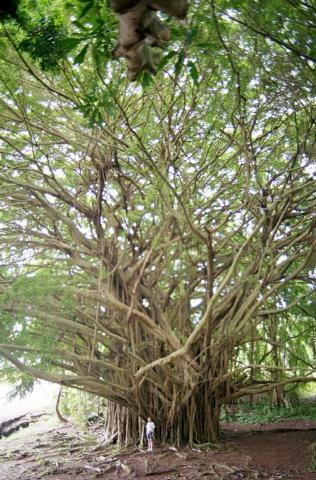 A close-up is shown in the photo below. 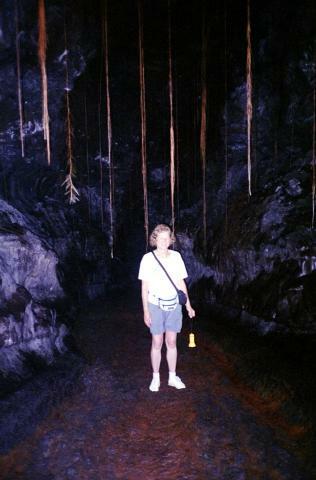 exploring in an old lava tube (photo below).